This latest compost bin has been designed with input and approval from the Telegraph Gardening writer, Helen Yemm. 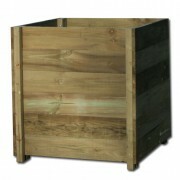 The Tate Fencing Compost Bin will allow you to make great compost from your garden waste. You can recycle your grass clippings and keep your garden clean and tidy and with our 2 part front system it is easy to load the compost bin. 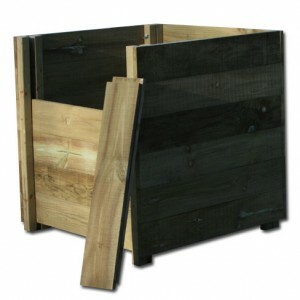 The slatted front allows you to build up the bin so its easy to reach the bottom without bending into the bin. Suffering from Fence damage? Tate Fencing Annual Party Raffle raises over £1,440 for charity!